Z is for Zeppelina, Zetland, Zeal and Zest. Zetland - the old name for the Shetland Isles, the northern most isles of Scotland, situated 110 miles from the mainland and closer to Bergen in Norway than to Edinburgh. 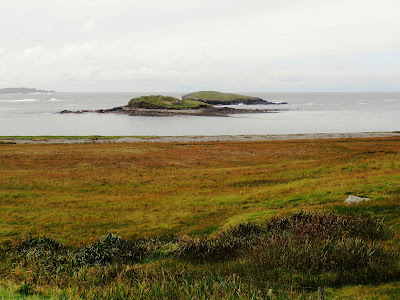 Shetland stretches around a hundred miles from north to south. with over 100 islands in the group, 15 of which are inhabited. Early Shetland was was occupied by Pictish peoples. They left no written history but ancient towers called brochs, carved stones and beautiful silver objects. From about 800 AD, however, the Pictish peoples were either displaced by - or absorbed into - waves of immigration from Scandinavia as the Vikings expanded westwards. Shetland remained under Norwegian control for around 600 years. Their rule ended as the result of a marriage treaty in 1468 when King Christian I of Norway mortgaged Shetland to the Scottish crown to raise part of the dowry for the marriage of his daughter Margaret to King James III of Scotland. James went on to annex Shetland to the Scottish crown in 1472, though the Nordic influence remained strong on the islands. This tragic island tale came from my third cousin Stuart who was researching his Smith ancestors. 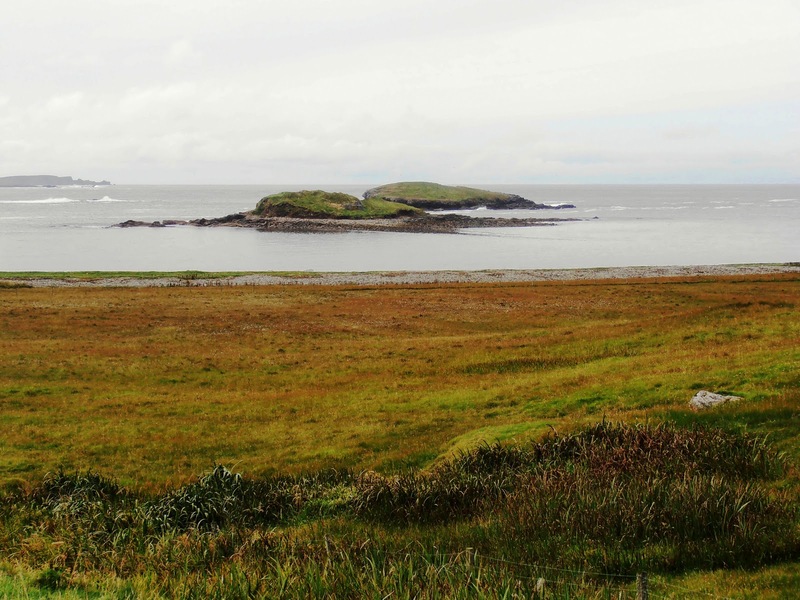 On Unst, Shetland, Peter Smith and his wife Mary had five children - three boys and two girls. The elder two boys, William aged 14 and Francis 10 years old, both died on the same day - 14th March 1919. On checking further, it was found that they had both drowned whilst they were trying to rescue their pet dog from a lochan, near their house. 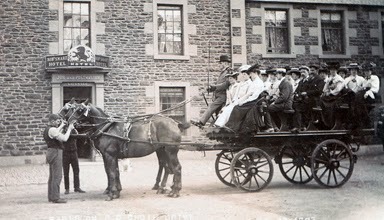 This A-Z challenge has been a very stimulating blog prompt to follow and great fun. It has been amazing to read how different bloggers have interpreted each letter. But one thing is certain - we have all approached the challenge with Zeal, and Zest to reach this Zenith! I will miss it and thanks must go to Aona. I look forward to any more challenges she comes up with! Again, an interesting choice of words for "Z", Sue. What a sad story of those poor boys who drowned. I do wonder why a child would be named after a tragedy, but each to their own, I guess. Great post, Sue. Many thanks for your comment, Fi. Yes I wondered too how anyone would want to name a child after a airship associated with enemy action. 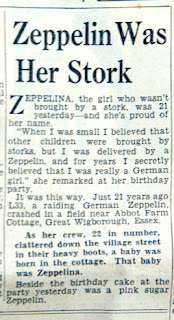 Given the anti-German feeling at the time, fancy landing a baby with that for life - I would adapt it to Zena, I think. Congratulations on making it right through the Alphabet Challenge. You've come up with so many wonderful words throughout, and you Z post is no exception. Thank you for participating, it's been wonderful having your participate. Next week I'll have some special images that you can use (if you want) for those that participated or completed the Challenge. I'm intrigued! Look forward to seeing the images. Meant to say, Aona, with your challenge, I particularly liked the way you provided the link on your blog to other contributors. I have taken part in another series, but hardly any of the bloggers on my reading list are following it, and it is not picked up by Geneabloggers. So I do not get to see how other interpret the topic. A pity. Fascinating info about Zetland Sue! Such a tragedy the deaths of William and Francis. I love alliteration too and your "Zeal, and Zest to reach this Zenith!" is particularly good :-) I've enjoyed your posts very much and look forward to many more. Cheers, Catherine. Thank you, Catherine, for such encouraging comments. I am rather fan of alliteration, though I know some writers despise it. You have spurred me on! I have enjoyed reading your posts through the challenge. Well Done. Thank you, Sharon, for your comments throughout the series - much appreciated.